Help yourself to these fun activities for a sleepover to help you throw the best DIY slumber party ever! How About Pipe Cleaner Crafts? 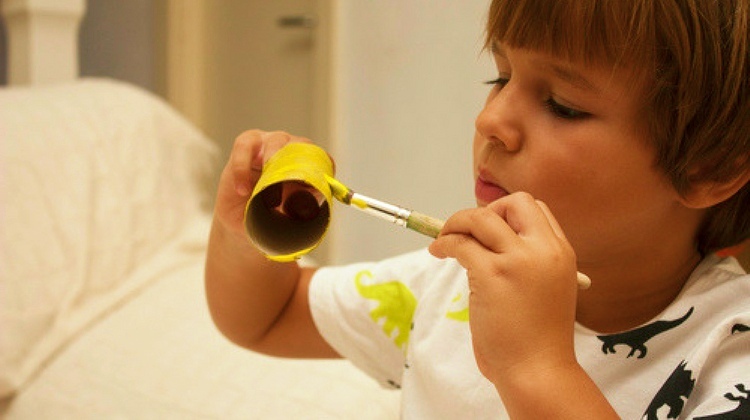 Sleepovers are a great opportunity to get the kids to learn the art of upcycling. Have them make these easy toilet paper crafts that they can wear and play with all through the night. 2. How About Pipe Cleaner Crafts? If you're looking for last-minute sleepover ideas, here's an easy one for you. Just run to the craft store and get a lot of pipe cleaners. You can’t go wrong with pipe cleaner crafts. Pipe cleaners are safe, and your children can make a lot of crafts with them. Here's an opportunity for you to teach your kids and their friends the different kinds of animals. The fun part is that you get to do it with balloons! Show kids how to twist their very own balloon critters, and then make fun slumber party games out of it. For example, whoever makes a balloon animal the fastest gets a prize. Putting up an indoor teepee is one of the best sleepover activities for both boys and girls. By doing this, you're letting the kids experience the exciting part of creating their own space. Encourage them to hang trinkets to personalize it! We're sure they'll have a wonderful time making and decorating their very own teepee. An epic DIY fort is not just for boys. Girls can have fun building them, too. Before the sleepover starts, make sure you have all the supplies you need to build the fort with your little buddies. Make it big and sturdy enough so that the kids can drag their sleeping bags into the fort and spend the rest of the night there. Start each activity with a bang! Write your itinerary down and put them inside a balloon. Start popping when the hour arrives. It’s a fun way to keep your sleepover schedule under control. What’s a girls' sleepover without some nail-painting session? Take it up a notch with this fun spin the nail polish bottle game! So if you're looking for sleepover games, this is definitely one of the best sleepover ideas for girls ever! 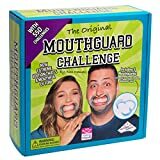 SOFTER MOUTHGUARDS - Includes 5 mouthguards that are strong, flexible and dishwasher safe -- Literally, a mouthful of fun! The new Extreme Edition is for 2-5 players, and is perfect for parties and everyday family fun! This family friendly game is for ages 12+ and makes a great gift for all occasions! Pillow fights are among the most memorable sleepover activities. So, why not initiate one at your kids' sleepover? You can use DIY pillows instead of the ones the kids actually use for sleeping. Remember to lay the ground rules first before the pillow fight starts. Get the sleepover party started in the dark! With some black lights and glow-in-the-dark markers or sticks, it’s going to be a good night. Make sure to keep away hazards though before switching off the lights so no one gets hurt. You can also stage kid-friendly party games while the lights are out—like a scavenger hunt for hidden, glow-in-the-dark objects. Things are almost always more fun and interesting when they're glowing. Aside from providing glow-in-the-dark markers and sticks, you can also let the kids play with homemade glowing dough. Imagine all the fun things they can make out of it! Even kids love selfies, especially if they get to play and act like superheroes in them! Create a superhero photo booth for them where they can strike fun poses while pretending to save the entire city. This is fairly simple compared to the other sleepover activities in this list. But hey, it's still fun! Watching movies is one of the most basic sleepover ideas. When the kids get tired of playing, better have some kid-friendly movies ready. Don't worry if you can only think of one because this list will give you many options to ensure the kids will have a fun-filled movie marathon. The kids don’t have to go to Hogsmeade to take a sip of butterbeer because they can easily whip this up at home! To make them feel like they are in the world of Harry Potter, you can let them dress in robes or costumes of their favorite characters in the book. Here’s the perfect DIY late-night snack to complete the slumber party. Before the kids start watching a movie, you can set up the popcorn bar. Kids will surely love this amazing set-up. If you’d like to make your own popcorn, you can follow this easy homemade kettle corn recipe. The Purple Cow Dare for Truth Spin The Bottle Game, PARTYYY Edition. Card Games for Kids and Adults Ages 6 & Up. Birthday Party Games Cards Fun for Kids and Adults Alike. PARTY VERSION: All the embarrassing quests and intrusive 'truth' Questions. The Purple Cow PARTYYY Edition is a party game for teens and is a more "contained" version of the wild game. It is still lots of FUN but it also safe, and accessible to a broader range of young audiences. 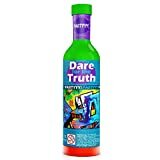 SPIN-THE-BOTTLE MEETS TRUTH-OR-DARE: In this party game for teens you simply spin the bottle to choose who will perform the truth or dare! 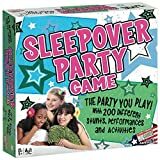 Most fun for sleepovers and slumber parties, birthday and office parties, and family reunions. ICEBREAKER: The Purple Cow Series of Truth or Dare are party games that are fun for boys and girls. Make your party something to remember! SPECIFICS: Our Dare for The Truth PARTYYY edition game is a party game that includes 40 cards with family-themed truths/dares and instructions in a bottle container. Our kid party games are recommended for ages 7 and up. 3 or more players. 20-60 minutes play time. Fun: fun for boys and girls. Games can be an aid used for educational purposes by teachers in the classroom, class study, & for STEM or steam activities. Teens will love this creative learning! Better be ready for the next day when the kiddos wake up. After a fun slumber party and a long sleep, they're bound to get hungry. You can prepare a waffle bar that’s healthy and kid-friendly. Just a tip: Before your kids' friends come over, make sure you've listed down everyone's names, along with any food allergies and some other special needs. This way, you can ensure that the food you're serving and the activities you're providing are safe for all the kids. Set some tiny pup tents at home for your kids' friends. They will surely love to hang out in these small tents while telling ghost stories. You can even let them customize their tents with cute designs. Are your kids or kids' friends creative? Let them try this personalized pillowcase activity. They can paint something on the pillowcases or simply let them have it their way. It's one of the sleepover ideas they can bring home as a souvenir! Here's another artistic activity your kids and their friends will enjoy. Get some eye mask and your DIY arts and crafts stash and have fun designing them for a personalized eye mask. If your kids are having a girls' night out, then this one is a perfect choice. Allow them to go crazy dancing to their favorite tunes with some DIY ribbon wands. They can pretend to be fairies or princesses at a ball! Why not let the kids be the stars of their own cooking show? Just prepare some simple and easy recipes for them to follow, and watch them whip up kid-approved culinary creations! Utilize your yard and create a DIY movie screen to let the kiddos watch their favorite films. Of course, don't forget the popcorn and some cold drinks, so it feels like they are in an old-school drive-in cinema. Join in on the fun! Are you now ready to hand out invitations for a slumber party? We hope you find this list of activities for a sleepover awesome and useful. No matter what you give or what you let your kids do during sleepovers, always remember to be there, ensuring their safety. This way, you won't miss every giggle they share, too. There's nothing more priceless than that! Which of these activities for a sleepover are now on your to-do list? Let us know in the comments section below! Editor’s Note: This post was originally published on June 12, 2018, and has been updated for quality and relevancy. These all look like great fun for kids! Thank you for including my recipe for Butter Beer! This is the most sexist thing I’ve ever read. I’m a girl and I love building forts. My neighbor’s a boy and he loves Frozen. NEWSFLASH: Girls can have pillow fights too.